WACO, Texas (July 20, 2018) – During its regular July retreat meeting, the Baylor University Board of Regents welcomed new Board members, heard an update from Baylor President Linda A. Livingstone, Ph.D., on the Illuminate Academic Strategic Plan and other University initiatives and approved $1.24 million gift for renovations to the Umphrey Law Center and Charles and Sandra Wallace Courtyard. The Board also discussed higher education issues with state and national leaders and set tuition and fees for the 2019-2020 academic year. Gordon Wilkerson, B.B.A. ’82, of Lubbock, Alumni-elected Regent; president of Wilkerson Properties and Wilkerson Storage Co. Since October 2015, more than a third of the Board is new, bringing with them new ideas, new perspectives and new backgrounds, said Joel T. Allison, B.A. ’70, chairman of the Board. In her regular report to the Board, President Livingstone updated Regents on the incoming freshman class, which is expected at around 3,400 students and to be the most academically qualified and one of the most diverse classes in University history. She also spoke about faculty recruiting, which continues to draw top scholars to the University, gave an update on the provost search and discussed her goals for the upcoming academic year. President Livingstone then called on Gary Carini, Ph.D., vice provost for graduate professional education and strategic planning and professor of management, to give an update on Illuminate. This summer, a multidisciplinary working group of 60-plus faculty from 33 academic departments have been engaged in designing an overarching implementation process for the plan, which will launch this fall. In addition, the Board heard reports from David Rosselli, vice president for advancement, on plans for an upcoming comprehensive fundraising campaign; Brett Dalton, Baylor’s new chief business officer attending his first Board meeting, about the University’s new enterprise resources planning (ERP) system; and Jason D. Cook, vice president for marketing and communications and chief marketing officer, about the first tour of the Baylor Conversation Series with the president and board chair visiting 12 cities across Texas and the United States. Four conversations are scheduled this fall in San Diego, California; Nashville, Tennessee; San Antonio; and Orlando, Florida. In business action, the Board approved renovations to the Umphrey Law Center, home of the nationally ranked Baylor Law School, to address changing space needs within the building. 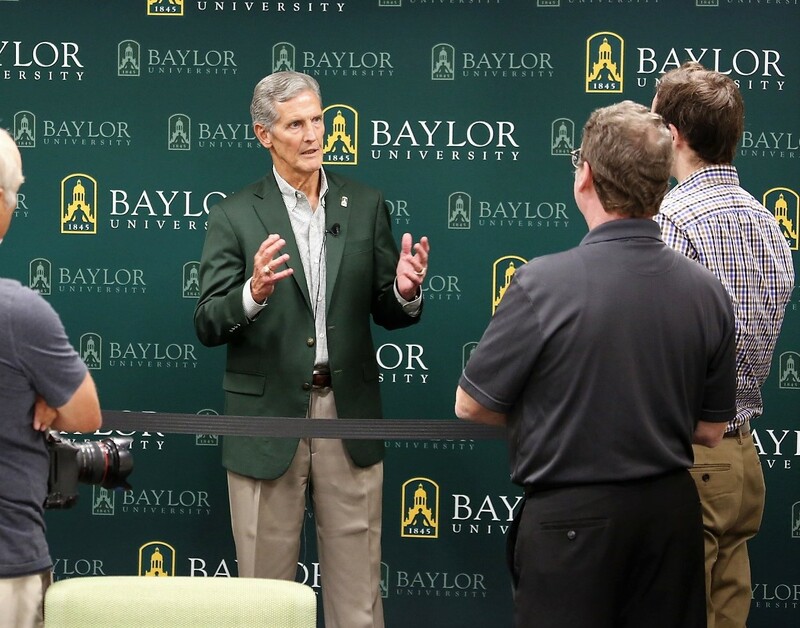 The renovations include the creation of spaces for Moot Court, flexible classrooms, Baylor Law Review, Pro Bono Clinic and faculty/staff offices, as well as updates to exterior landscaping in honor of the Wallace family. 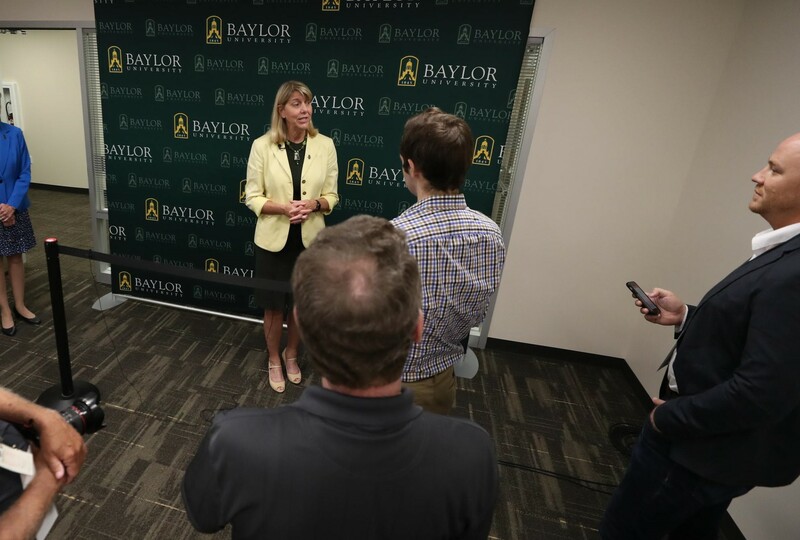 The renovation project is funded by gifts to Baylor Law, including a gift in 2017 from Sherri W. and Robert “Bobby” L. Patton Jr. of Fort Worth to enhance the legal writing and pro bono programs at Baylor Law. In appreciation of the Pattons’ gift, the courtyard entrance at Baylor Law has been designated the Charles and Sandra Wallace Courtyard. The Board also set tuition and fees for the 2019-2020 academic year, approving a 4 percent increase in tuition, continuing a trend to keep tuition increases at a steady and affordable level for students and their families. Last year, the University reached its goal of a 4 percent increase, which was its lowest tuition increase in 20 years. 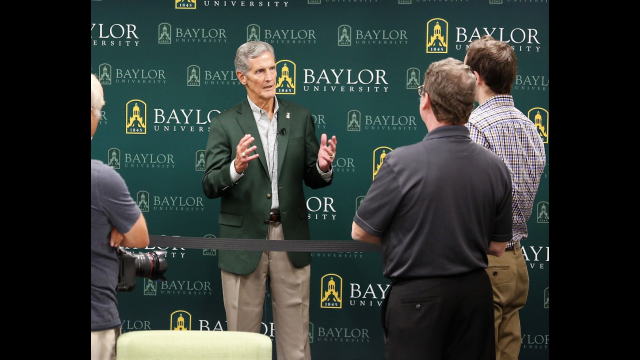 With its flat-rate tuition structure, Baylor’s tuition will be $42,842 for the 2019-2020 academic year (or $21,421 per fall 2019 and spring 2020 semesters), while the general student fee will be $4,522 for the 2019-2020 academic year (or $2,261 per fall 2019 and spring 2020 semesters). There are no increases in lab or vehicle registration fees for 2019-2020. The University will continue to offer a Guaranteed Tuition Option set at $45,342, which provides a predictable tuition rate for families and encourages students to graduate in four years. Tuition for graduate and professional programs will increase similarly. Foundational to its Illuminate Academic Strategic Plan is the University’s commitment to modest undergraduate tuition increases while providing outstanding student experiences that are both high quality and affordable within a distinctive Christian environment. The tuition increase of 4 percent for 2019-2020 equates to an increase of 3.73 percent when taking into account the total cost of attendance. 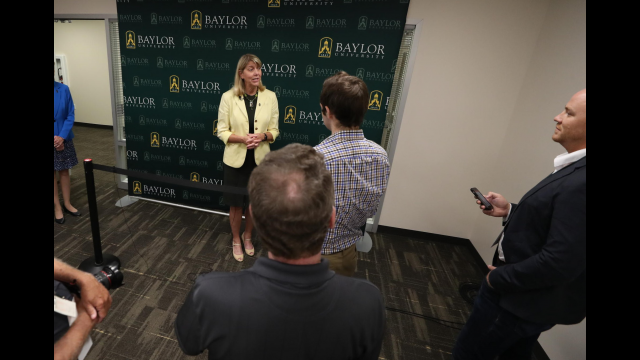 Tuition remains lower than Baylor’s private peer institutions in Texas and across the country, and the 4-percent increase is comparable with many other Texas schools. President Livingstone moderated a discussion about issues facing Christian higher education institutions with Andy Benton, president, Pepperdine University; Shirley Hoogstra, president, Council for Christian Colleges and Universities; and Andy Westmoreland, president, Samford University.